I have written posts on how I shoot my panoramic before but I though it was time for another one with some additional detail. This will be a behind the scenes from the aspect of peeling back the layers of how I shoot and process, not because it has pics of me shooting. I will break this up into three sections being the Gear I use, how I shoot and how I put it all together. These days with cheap one shot cameras and cell phones having panoramic modes it becoming easier to shoot panoramic images but panoramic images are not just about shooting a wide photo, they are about capturing the mood and detail of a moment and detail is where the two aforementioned methods fall short. You can enhance detail in two ways; use a high resolution camera, with a good lens or break the image up into lots of segments. The more segments you have, the higher the resolution of the final image and therefore the more detail but this comes at the expense of time, which you don’t always have lots of. So the first aspect is the choice of pano heads. When it comes to choosing a pano head you have two options, manual or robotic. Manual heads are exactly what the names suggests. They are designed to hold the camera correctly so that it rotates and swivels around the lens’ entrance pupil and they often allow you to move in predetermined increments depending on the lens and camera configuration. They come in single and multi-row varieties and can do pretty much what most Panoramographers will need. In my opinion there is only one option when it comes to manual heads and that is without a doubt 360P . They make the best manual heads I have ever seen or used and I have their top of the range head for all my normal and tricky panoramic work. You are in full control of the scene and cam move back to image segments if you need to re-shoot them. Don’t require batteries to run. Large panoramic images require a lot of segments and errors can creep in with a manual head. Robotic heads are again exactly what they sound like. They are based on the same principles as manual heads but all the movement is being done by software and servo motors. 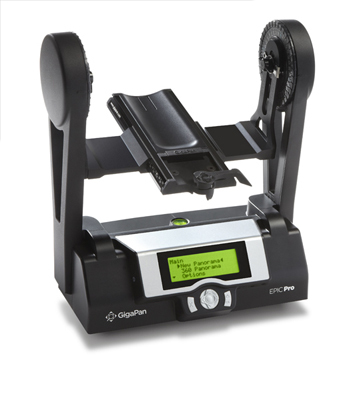 These heads are designed for taking huge panoramic images that need multiple segments and precision accuracy. Some of the more advanced versions can also trigger the camera’s shutter and control bracketing meaning they can be left totally unattended. Can Be left unattended and triggered remotely. Ideal for very large panoramic images with exceptional detail. Inflexible from the point of view that you cannot go back and shoot a single segment. Which do I use most, well it depends what I am shooting. For everyday work and landscapes with fast changing lighting, I opt for the manual head and use the Robotic head for huge panoramic imagery. A while ago I said the I felt that the Nikon D800E was the ultimate panoramic camera and I still believe this. It is the ultimate combination of size, weight, resolution and high ISO performance that a panoramic photographer could ask for. Its 36mp resolution means higher res panoramic images with less segments which is great where you have serious time constraints. 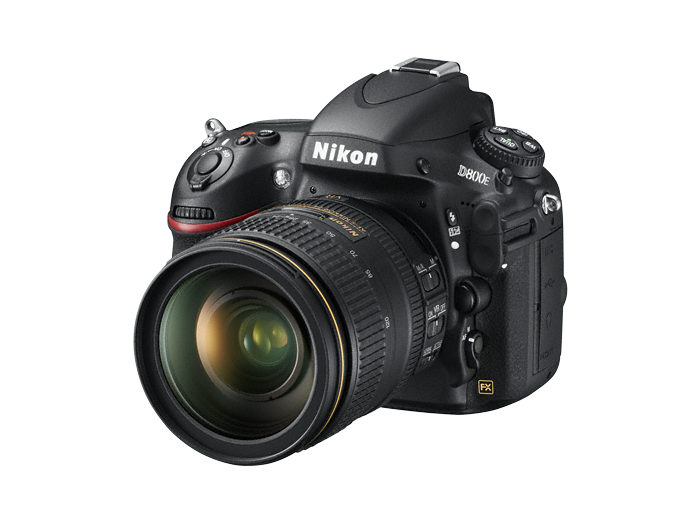 I use two lens combinations, a Nikon AFS 14–24mm f/2.8 lens when shooting with my manual head and a Nikon 35 f/2D when shooting with the Robotic head. When it comes to storage, I only use Lexar CF cards and the D800E needs the 1000X cards especially when shooting with the Robotic head where you cannot afford to hit a full buffer and have the camera stop taking shots. 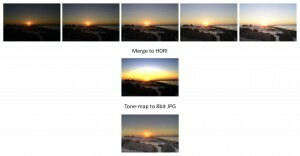 If this happens you can end up missing frames or with the entire panorama being out of sequence, especially if you are shooting HDR. Shooting ultra-wide panoramic images is not as easy as one would think. Aside from all of the technicalities involved in actually shooting, composition is key to have an interesting image. The mistake people often make is that just having a wide image doesn’t make it interesting. If the scene is boring, capturing it in panoramic form will just mean you have a whole lot of boring. Additionally you have issues such as phenomena that occurs that I call planar distortion, This happens when you unwrap a cylindrical image and print it on a flat sheet and it causes straight lines to curve away from the centre of the image and can also cause a very distinctive U or W.
The key is to be able to envisage in your mind what the final result will look like but cell phone panoramas have helped you to shoot a quick image to get a rough idea of what you will be getting. The next ting you need to consider is lighting. Harsh midday lighting, seldom produces a breathtaking panorama which is why many of the best ones are taken close to sunrise of sunset. This in itself creates an problem because both sunrise and sunset are characterised by fast changing lighting conditions meaning you have to be very clever about how you shoot, especially for panoramas that can take 30 minutes to complete. Then there is the question of how wide do you shoot. My opinion is that you always shoot 360° even if you don’t need to. By having a complete 360 ° image you can shift your composition left and right and then crop which you can’t do if you don’t have the extra information on both sides. All of my panoramic shots use a technique that starts off as HDR. What this essentially means is that you are capturing multiple exposures for each segment that will eventually be blended into a single High Dynamic Range image that will then be tone-mapped so that it can be worked on in an 8 or 16bit colour environment. I shoot between 5 and 9 images per segment depending on the lighting conditions. 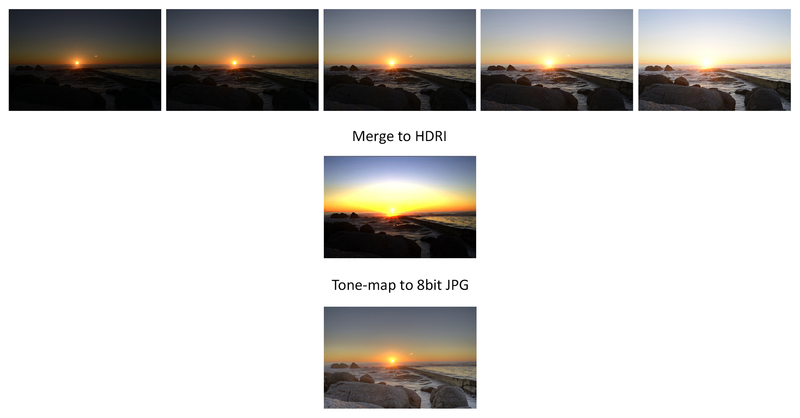 Merge to HDR and tone-map. Tone-map the resulting panoramic HDR image. My processing starts in Photomatix where I merge the bracketed exposures from each segment into single images. I have used a few HDR packages and Photomatix is still the one I prefer. Once the images are merged into a HDRI images, I also tone map them as part of the next step. We are going to use both the tone-mapped and HDRI images as it is not a good idea to tone-map individual frames and then try stitch them due to the fact that you don’t get consistent tonality. For stitching you really only have one option, PTGUI, It is the one that you will find most professional Panoramographers will recommend. While PTGUI is great, it has one draw back being that it doesn’t generate control point well for HDRI which is not a train smash because they are huge files to work with. I use a little work around that solves both the PTGUI and file size problem in one step. What I do is bring in the tone-mapped JPG files and use those to generate the matrix of control points. I am not worried about what the colour or blending looks like, just that everything is correctly aligned. Next I save the alignment as a PTGUI template. The next step is to start a new project and bring in the HDRI images. When asked for lens info etc, I just ignore it and go to the file menu and apply the template I created using the tone-mapped images. After that I don’t touch anything except for the most crucial step. I go into the Exposure / HDR menu, Enable HDR Stitching, select True HDR and I select “Optimize Now” then further down under “Automatic Exposure and Color Adjustment”. If you don’t do this you can get colour and exposure shifts in areas like the sky. Finally I output the image selecting only to create the HDR panorama. The next step is to the huge stitched HDRI pano back into Photomatix which requires a lot of RAM. The things to remember here is to keep the image as simple and as realistic as possible. I only use the normal option as a base and then adjust as need be. The other important this to do is make sure you have enabled the 360° option so that the left and right side of the image tone-map consistently. This entry was posted in Gigapan, Panorama, Tech Stuff, Uncategorized.